Homely hotel with concrete wooden furnishings. Hotel Mogappair is located in Plot No. 276 MIG, Bharathi Salai EB Ofice Road, Nolambur Phase 2, Mogappair West, Chennai. Vivekananda Museum and Marina Beach are nearby to the hotel. 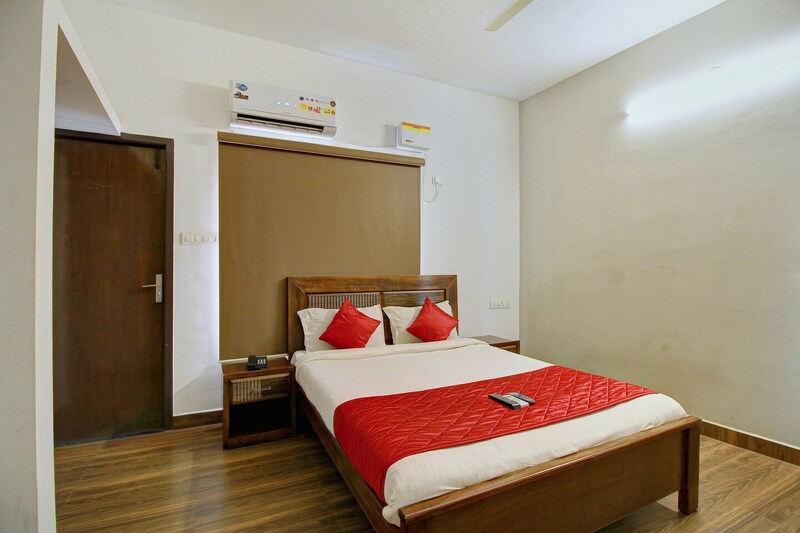 The white painted walls with concrete wooden furnishings makes the rooms an ideal one for a comfortable stay. The hotel is also a well-managed one. The several amenities that the hotel offers include AC, free Wi-Fi, queen sized bed, power backup, parking facility, TV, card payment facility, elevator, and CCTV cameras. Restaurants like Apna Ka Dhaba, Gingerbread, Ibaco, The French Loaf, and The Madras Diner lie in the close vicinity of the hotel.